The Dwightmare in Orlando has been refueled and set ablaze again in Orlando. After a conversation with new Orlando Magic General Manager Rob Hennigan this past Friday, Dwight Howard has once again requested a trade to the Brooklyn Nets (via ESPN). Whether or not Howard is granted his request is up in the air. Although Brooklyn is Howard’s preferred destination, other teams have made a push for Dwight Howard. The Houston Rockets have been courting Howard since last season, and the Los Angeles Lakers have contacted the Magic in regards to acquiring Howard. Hennigan met with Dwight Howard face-to-face Friday afternoon in Los Angeles. This was the first meeting between the new Magic GM and Dwight Howard since Hennigan was hired two weeks ago. Hennigan hasn’t said whether or not he is willing to trade Howard, he merely wanted to hear Howard’s stance on the future of his career. It seems that the relationship between Howard and the Orlando Magic has been damaged beyond repair. Howard was reportedly furious that Magic management didn’t defend him when Stan Van Gundy leaked that Howard had requested he be fired in a press conference in April. Howard also feels the Magic fooled him into opting into his final year of his contract by making false promises. Howard had the NBAPA investigate whether he had legal cause to void the final year of his contract due to these false promises and the union was considering filing a claim against Orlando. However, ESPN is reporting that the union denies it will file a claim against the Magic. 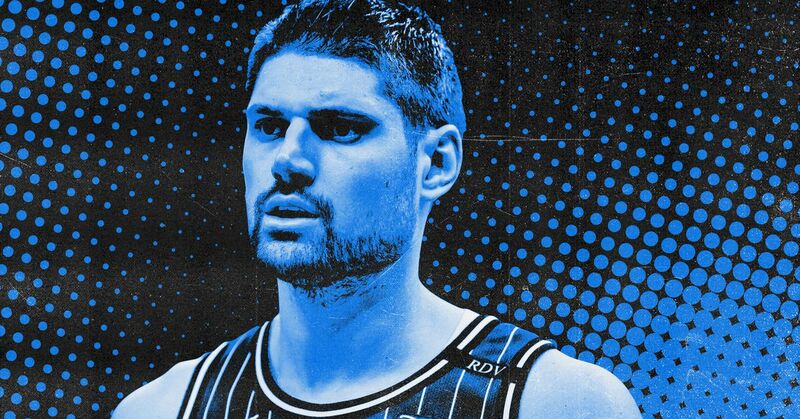 Once again, the Orlando Magic are in a tough situation where the franchise player wants out. However, the Magic are in a better situation with Dwight Howard than the organization faced throughout last season. Howard opted to stay in Orlando throughout the 2012-13 season at the March trade deadline, declining free agency this summer. Hennigan has a plethora of options in regards to which team he can negotiate a trade. Of course, Dwight Howard’s preferred destination is to be traded to the Brooklyn Nets. However, the Nets don’t have any players that peak Orlando’s interest. Brooklyn Nets GM Billy King appears to be growing tired of waiting for the Magic and Dwight Howard, and is currently seeking another star player to pair with Deron Williams before free agents are allowed to sign with teams on July 11th. The Houston Rockets have actively pursued Dwight Howard since last season. Although Howard has stated several times that he will not sign a long-term extension with Houston, the Rockets believe they can convince Howard to re-sign once he becomes a member of the organization. Houston also has the option of trading Dwight Howard at next season’s trade deadline for another star player if Howard is unwilling to remain in Houston. Many felt the Rockets were going to be able to acquire two top-ten draft picks to pair with Kyle Lowry in order to acquire Dwight Howard on draft night last Thursday. However, Houston was unable to make the deal and kept their #12, #14 and #16 draft picks. Houston, like the Nets, has very few assets that would peak the Magic’s interest. However, with Magic point guard Jameer Nelson opting out of his contract and becoming a free agent, Houston point guard Kyle Lowry could peak Orlando’s interest. However, Houston would have to bring in another team and player for Orlando to accept this trade. It was reported earlier this morning that the Los Angeles Lakers have been in contact with Orlando Magic management in regards to acquiring Dwight Howard. Howard has commented in the past that he wouldn’t sign long-term with the Lakers either, but the chances of him staying in LA are greater than remaining in Houston. The Lakers have the most value to offer Orlando in a trade for Dwight Howard. Orlando would most likely accept a deal to send All-Star center Andrew Bynum to Orlando in exchange for Dwight Howard. Orlando could build around twenty-four-year-old Bynum and remain contenders in the Eastern Conference. Acquiring Bynum would also help Orlando remain an attractive franchise for free agents. It’s clear that Rob Hennigan has his work cut out for him with his new position in Orlando. With Dwight Howard requesting a trade, Jameer Nelson opting out and becoming a free agent, the future of JJ Reddick and Ryan Anderson in limbo, the Orlando Magic could be entering a rebuilding phase and the team may look drastically different entering the 2012-2013 season. How Can the Magic Build Off Their 1st Playoff Appearance?